Dr. Bob Krone is a policy scientist, global educator, doctoral research supervisor, and consultant in International Business and Management. He is an Emeritus Professor of the University of Southern California in Los Angeles, U.S.A. (1975–1993) having earned his BA (Cinematography) also at USC in 1952; his Master of Public and International Affairs Degree was earned at the University of Pittsburgh in 1965; and his Ph.D. in Political Science and Policy Sciences was earned at UCLA in 1972. He recently coauthored Managing for Quality in Higher Education — A Systems Perspective. Bob is a Distinguished Visiting Professor in the School of Business at La Sierra University in Riverside, California, USA (1992–present) and an Adjunct Professor for doctoral programs (Ph.D. and DBA) in the International Graduate School of Business at the University of South Australia (1995–present). He is a Fellow Member of the American Society for Quality (ASQ) and a Board of Directors member in six organizations and foundations. Bob is in his fourth career. The first one (1952–1975) was the United States Air Force. The second (1975–1993) was as a Business and Management Professor on the Faculty of the University of Southern California (USC) ending as Chair of the Global Systems Management Department. The third was an academic continuation sharing time between the School of Business at La Sierra University in Riverside, California (1992–present) and the International Graduate School of Business at the University of South Australia where he supervised doctoral degree candidates (Ph.D. and DBA) in Asia and Europe (1995–present). 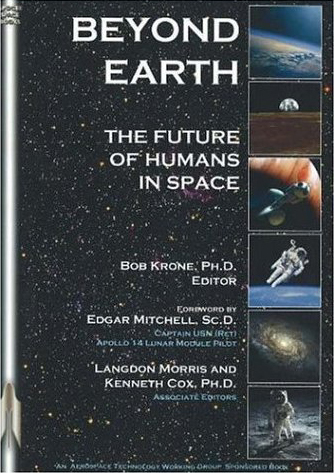 His fourth career as a global space professional began seriously in 2004 with his editing of the book Beyond Earth: The Future of Humans in Space. (Read its review at Universe Today.) His academic areas are Policy Sciences, the Quality Sciences, Management Sciences and Space Sciences. His publications include four books, many book chapters and professional journal articles. His cross-disciplinary professional publications began in the 1960s and include: Systems Analysis and Policy Sciences (1980); Essays for Systems Managers: Leadership Guidelines (1991); Systems Management, 2 (1993) and his Ph.D. Dissertation, NATO Nuclear Policymaking (UCLA, 1972). He is a member of the Fallbrook VFW, American Legion, Daedalians. His Air Force career as a Fighter Pilot, F-105 Jet Squadron Commander, Personnel Director and International Staff Officer produced fourteen combat decorations (Silver Star, Bronze Star, 4 Distinguished Flying Crosses and 11 Air Medals); and led to his joining the Advanced Technology Working Group in 1990 to keep in touch with the space community. That led to his current publications and activities within the global space community. Bob and his wife, Sue, have lived and worked in thirteen countries with Fallbrook, California as their current home. Listen to him on The Space Show hosted by Dr. David Livingston.